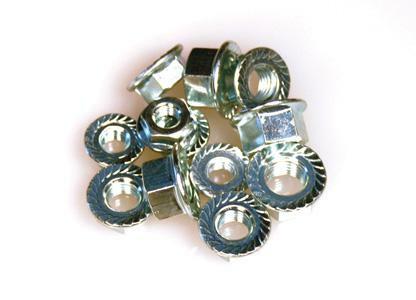 These serrated hex nuts with flanged collars are available especially for carburetor, valve cover, front cover, oil pan studs and windage tray studs. Made from premium-quality material, they are cad-plated. All general purpose nuts are rated 150,000 psi tensile strength.